Its only 10 days now until the Commodore’s Charity Party – this is going to be a really great event and we have worked hard to make it entertaining for our Members and guests. Tickets are just Â£20 per person and there will be live music, a raffle and chargrill food. Unfortunately, we cannot run this event unless we have 50 people attending. Therefore, if you think you would like to attend and join in the fun please ensure that you have signed up on the list by Wednesday 1st August. The forecast is looking good, so do come along and bring some friends. As this is a charity event, payment is by cash or cheque only (cheque payable to ‘RCYC Commodore’s Charity’). This year PoFSA is putting up a trophy for the best 3-boat club team in the Bay Fleet. A team must be selected from boats competing in classes 1, 2, 3, E or Q, and no more than one boat per class, i.e. the 3 boats must come from 3 different classes. Clubs may nominate more than one team. Boats will be scored according to their overall positions in their class in Series 1, i.e. the six-day series excluding the Champagne Race. Firework display 10pm (weather permitting) – good views from Club lawn! 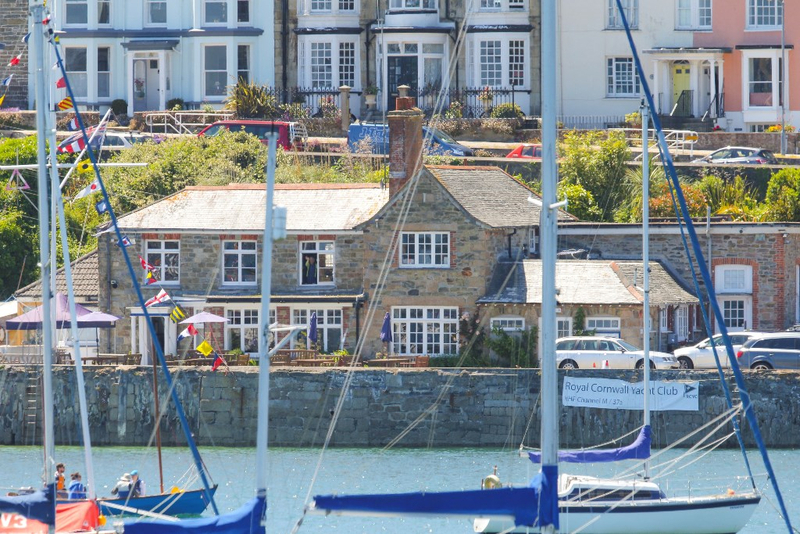 We will be doing bacon butties and breakfast rolls etc to eat in or take out in the mornings for the sailors and there will be a Falmouth Week Menu. The launch will be operating until 8pm each evening for sailors coming back from other regattas. 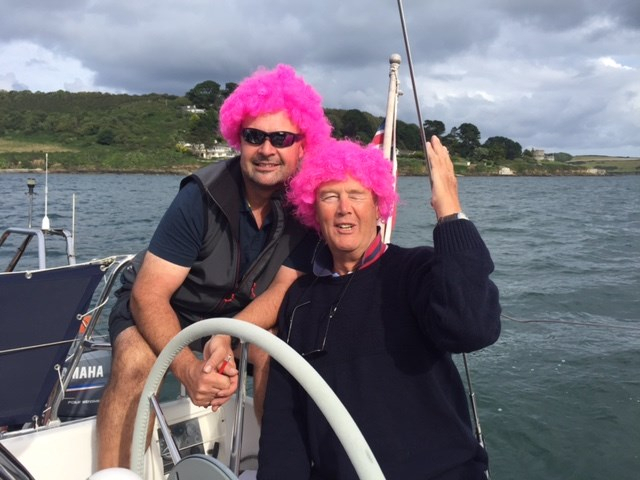 Please come support our very own Pink Wig Night at the RCYC. 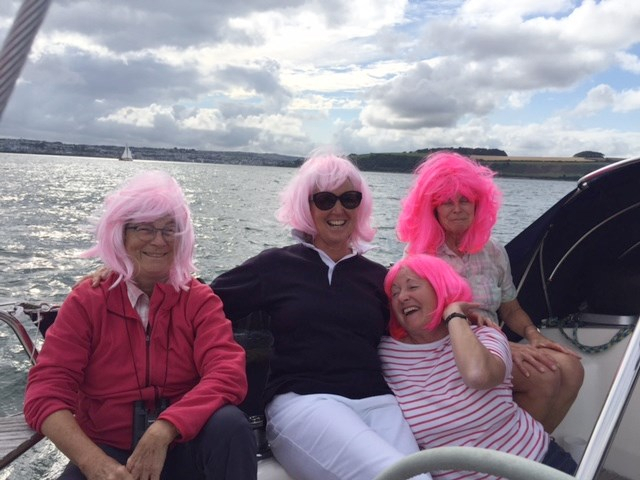 Since 2009 the ladies of Falmouth (and some of the men) have donned pink wigs the Friday Night before Falmouth Week starts to help raise funds for Breast Cancer. Many of our members have our own experiences so have decided to hold our own Pink Wig Night. The rules for play are – for those ladies – and gentlemen – who do not wish to wear a wig please support by wearing something pink. If you do not wish to wear a wig – or pink doesnâ€™t suit your complexion – a Â£5.00 forfeit will have to be paid. Please note – underwear doesn’t count !! As usual, Brian will be serving a sailing supper that evening and there will be a raffle in support. We regret to inform Members that Roddy Ainslie passed away on 21 July 2018. Our condolences are with family members. Roddy had been a supportive and loyal Member for over 32 years and will be missed by all those who had the pleasure to know him. The funeral is being held on Saturday 28 July at 2.30pm, St Anthony-in-Meneage Church. The Club Ensign will lay at half-mast as a mark of respect.